WHILE NERVE RADIO PREPARES ITSELF TO RELAUNCH WITH A WHOLE HOST OF NEW AND EXCITING SHOWS, ONE OF NERVE’S FLAGSHIP PROGRAMMES FROM LAST YEAR IS RETURNING WITH A WHOLE NEW LOOK, A WHOLE NEW SET OF INCREDIBLE NEW TUNES, AND EVEN A WHOLE NEW PRESENTER TO RUN IT. IN ADVANCE OF ITS NEW SERIES PREMIERE, JAMES STEPHENSON WILL BE POSTING WRITTEN ARTICLES TALKING ABOUT HIS PICKS FOR THE BEST NEW MUSIC RELEASED OVER THE LAST WEEK, AND WILL CONTINUE TO DO SO THROUGHOUT THE REST OF THE YEAR. SHOWCASING THE BEST NEW RELEASES FROM ESTABLISHED ARTISTS, AS WELL AS UP AND COMERS WHO DESERVE A SLICE OF THE SPOTLIGHT, THIS IS THE ONLY PLACE YOU’LL NEED TO FIND SOMETHING DIFFERENT TO LISTEN TO. Autumn is well and truly in season, and as the weather grows colder its time to put the kettle on, curl up and listen to tracks as golden as the leaves. Yes, New Music Monday is here, as inevitably as, well, Mondays. Of course, with so many new releases from all over the world to choose from, there was a lot of competition – this instalment of Tracks Of The Week has probably been the trickiest to decide on. But if these eight little slices of musical heaven aren’t enough to satisfy you, there’s the ever-reliable New Music Monday Spotify Playlist for you to get stuck into! Highlights this week include the Mariah Carey and Ty Dolla $ign collaboration we didn’t need but have anyway; Swedish heavy metal; six minutes of anime-inspired EDM, and one of the greatest songs of all time (which will become clear when we get to Album Of The Week). If you fancy any of that insanity, then just click the orange font – you know the drill. So, let’s get cracking with some absolute bangers. If you’ve ever met me, you know how much I love The 1975. I’ve adored their first two albums, I’ve got tickets to their O2 Arena show next year, and while I respect people’s opinions on Matty Healy being quite annoying at times, he’s such a good singer and writer that I just ignore it. So I am biased, is what I’m trying to say. My breakfast co-host Lucy Daniel absolutely despises them. But I can’t hide how much I love them, even if I try. And their latest single, ‘It’s Not Living (If It’s Not With You)’ continues their stunning form. Taken from their upcoming third album, the equally wordy ‘A Brief Enquiry Into Online Relationships’, this track is a classic 1975 banger. Luscious guitars and 80s-inspired beats underpin Healy’s reliably fantastic lyrics and vocals on this gorgeous, chilled out track. The hook on its own is one of the best things I’ve ever heard Healy and the lads put out, and that admittedly lengthy title is gorgeous. If you don’t play this on your next holiday it’ll be incomplete. Who is this brooding, bespectacled man, with soft silky hair and a taste in jumpers to match? Trevor Douglas is the name, and great tracks are his game. Douglas attracted some attention by appearing on American Idol a few years back, and although he fell fairly early in that contest he’s got himself back up, with his new EP ‘Four In The Morning’ having dropped on Friday. ‘Problems’ is the highlight, a gritty, guitar-driven pop track with a punching beat and a really great chorus. This Texas-born singer has compared himself to Lauv (who featured in this list a little while back) and its easy to see why – he’s got the look and sound, with a little bit of the Lone Star state in there, to reach those heights. One of the things I love about doing New Music Monday is finding music from all over the world – and for this track we’ve got to go to the other end of the world. Australia. And in that far-flung part of the globe, there’s a virtually unknown pop singer with a really bright future. ‘So Loud’ is a new single from Sydney-based singer Nat Conway, and its on the borderline between pop and EDM. It’s got a lot of dance music tricks, like vocal synths and deep drums, but Conway delivers a sensitive vocal that brings it into singer-songwriter territory. It’s an intimate and lovely record, that can’t fail to put a smile on your face. Also, this tune has some spectacular production on the drums, full of effects and percussive sections that really make ‘So Loud’…so loud. A really good pop song, this. Now we all know Troye Sivan has been making great music this year – but I don’t want to focus on him. Rather, I want to talk about the other name on this artwork. Jonsi is an Icelandic musician who fronts the band Sigur Ros (who wrote that inspiring piano song that you definitely know from every TV show ever), but he – very rarely – does solo stuff. This is his first release under his name in seven years. But he’s one of my favourite artists perhaps ever – go give his solo album ‘Go’ a listen and you’ll hear just how talented he is. These two collaborating is something I never thought I’d get. 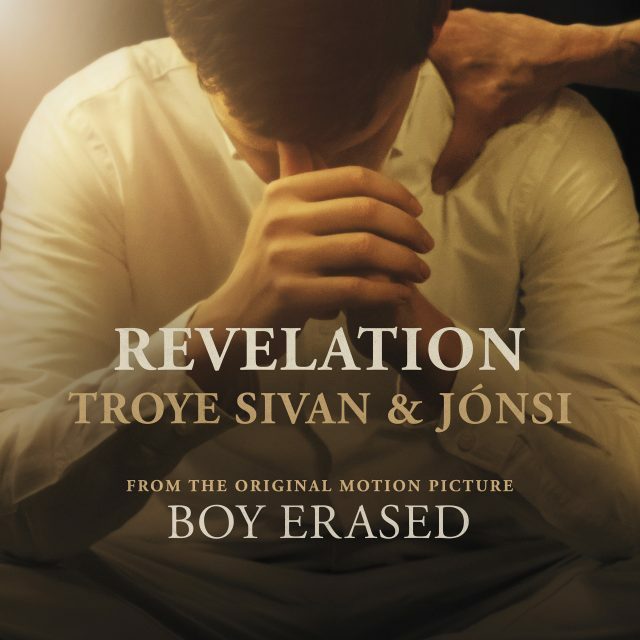 And yet they have, making ‘Revelation’ for the movie ‘Boy Erased’, which is about gay conversion therapy, and actually has Sivan acting in it. The song is a complete stunner, proof that sometimes the best music is what does the most with the least. Just a piano, gorgeous vocals, and some choir. Mwah. And with both Sivan and Jonsi being openly gay themselves, this ambient ballad takes on a whole new level of depth. Trust me – it’s beautiful. Scandinavia still does it better. Zara Larsson is back. Following on from her previous album ‘So Good’, which was impressive if quite inconsistent at times, this Swedish starlet has returned with one of her best tracks yet – ‘Ruin My Life’. It’s got a dark subject matter: a toxic relationship that Zara can’t help wanting to be in. But the track behind it is unabashedly poppy. Full of sweeping synths and larger than life chords, ‘Ruin My Life’ sees Zara giving it her all vocally; and the results are a sure-fire hit. While New Music Monday is about showcasing independent artists and musicians breaking through, sometimes you’ve just got to hand it to the big guns. This is a bop with a capital P.
Novo Amor, the stage name of Welsh multi-instrumentalist Ali John Meredith-Lacey, means New Love in Portuguese – how apt. ‘Sleepless’ is gorgeous. This is a track you can get totally lost in. Taken from his debut album Birthplace, which is full of these luscious tracks, ‘Sleepless’ is a real gem. 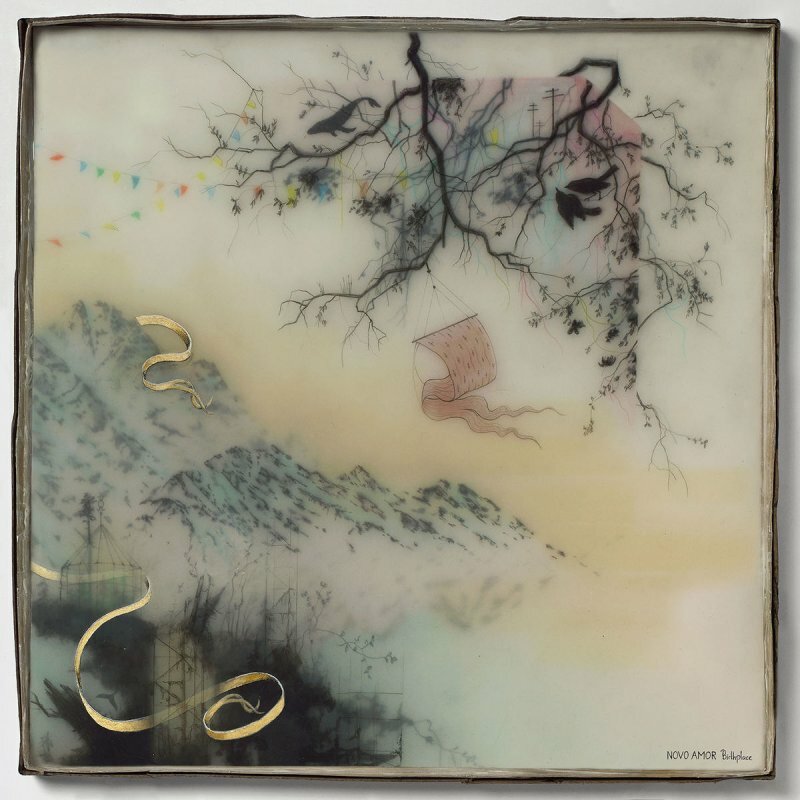 Novo Amor has got a distinctive, ambient folk sound that fills your headphones up to the brim with beauty. Full of endless vocal harmonies and wonderfully played guitars, ‘Sleepless’ sounds like if Frank Turner did the score for The Lord Of The Rings. A truly beautiful record. London singer Etta Bond got into the music industry after a chance encounter with Labrinth on MySpace. Since then, with the backing of the Earthquake predictor himself, she’s been releasing solid alternative R&B tracks. Her new single ‘Love Me Up’ is her first release in three years, and she’s made that wait worth it. Bond has an especially unique voice – its incredibly quiet. Like a feather. But it pulls you in, and keeps you there. ‘Love Me Up’ has a really nice beat behind it as well – its very atmospheric, and Bond’s vocal meshes into it incredibly smoothly. This is a superb late night track for any playlist. We end this instalment of Tracks Of The Week with an utter masterpiece. End of sentence. 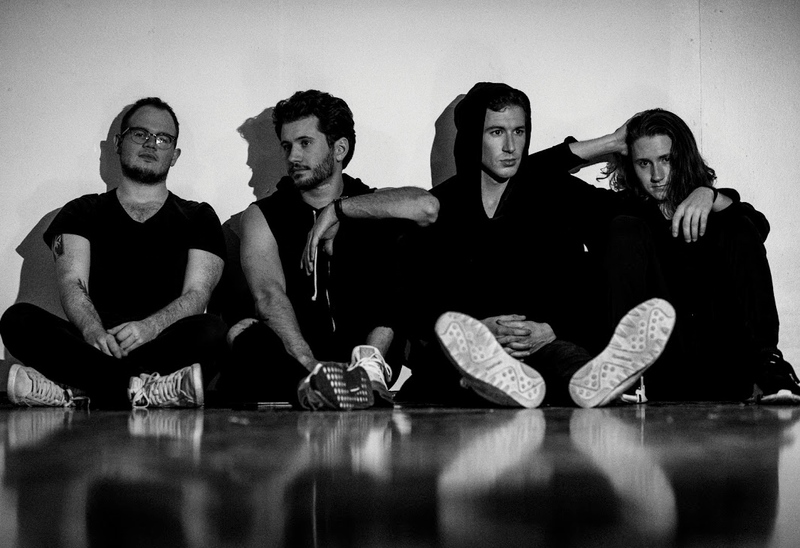 The Band CAMINO might be the best band around right now. They’ve been releasing amazing songs for a while now, and their latest single ‘Know Me’ might be the best of an incredible bunch. I can barely describe how good this is – but I’ll try. This Memphis four-piece, led by the powerful vocals of Jeffery Jordan, have crafted a near-perfect track. There are spellbinding guitars, brilliant drums, and then Jordan’s vocals are utterly brilliant, with an incredible range and burst of power. It has a jaw-dropping switch up at its close. It is equal parts heartbreaking and exhilirating. It’s got something so bittersweet about it, that makes the power of it all the more spine-tingling. ‘Know Me’ is the only way this list could end this week. It’s one of the best songs I’ve ever heard. If you don’t know about The Band CAMINO, you need to jump on this bandwagon before it gets full. This is an amazing band with amazing songs, and I reckon you’re going to adore them. Another fairly light week for major album releases, but there’s still plenty of stuff worthing checking out this week: Novo Amor‘s full length ‘Birthplace’ is a delight, with luscious tracks throughout; Danish popstar MO has released a new record in ‘Forever Neverland’ that is solid, with songs like ‘I Want You’ being particularly strong; and finally, there’s one film soundtrack that I’ve been dying to hear in full and that’s Justin Hurwitz‘s work on the film ‘First Man’, which is superb if a little uneven, and is definitely worth a watch. The music is breathtaking. But this week’s winner is…well, its a little bit of a cheat. But I know you won’t mind. 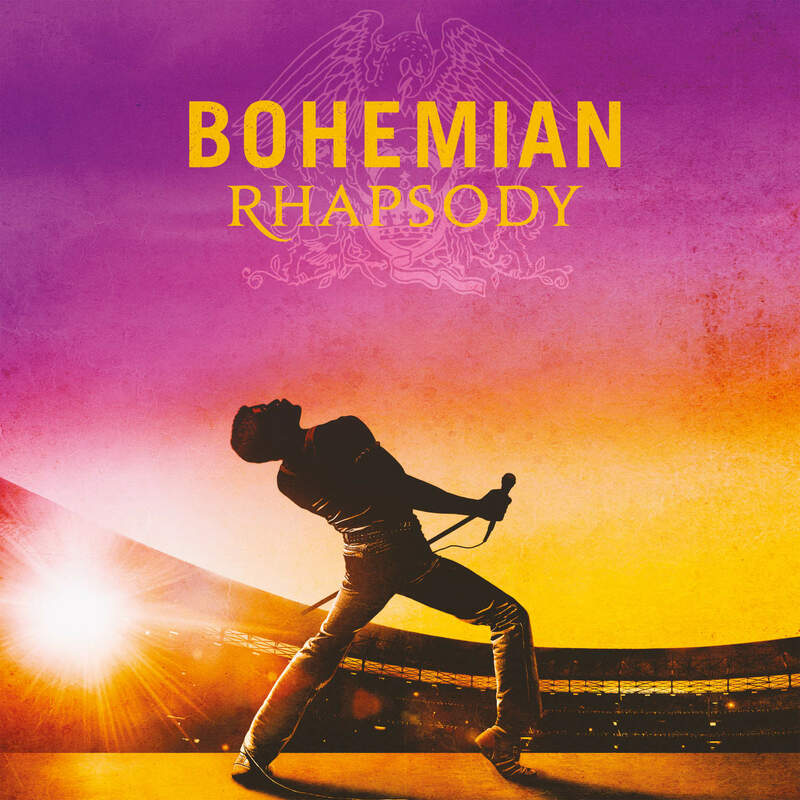 Released just a few days before the Queen biopic takes over cinemas across the world, ‘Bohemian Rhapsody’‘s soundtrack is technically new. Of course, the songs it consists of are anywhere from 30 to 50 years old – so as far away from this show’s remit as you can pretty much get. But who cares? This is Freddie Mercury, Brian May, Roger Taylor and John Deacon. If this movie serves any purpose – other than making the world realise how good of an actor Rami Malek is – then it should remind us all how incredible they were. Queen have been responsible for some of the best songs ever. One of them, a certain six-minute record that has three Galileo’s on it, may very well be the best. The soundtrack is just wall-to-wall classics. Too many to write down here, but you know them. And so what better time, with the movie on the cusp of being released, to remember a truly iconic band? Queen were a truly remarkable group, and Mercury himself the ultimate rock frontman – theatrical, enigmatic, here for a shining moment and gone far too soon. And this soundtrack is a perfect reminder of why we remember them still now. It’s the Album Of The Week.